Anyone else out there feel that way?… At first, I thought it was just me… But I’m pretty sure we all do! 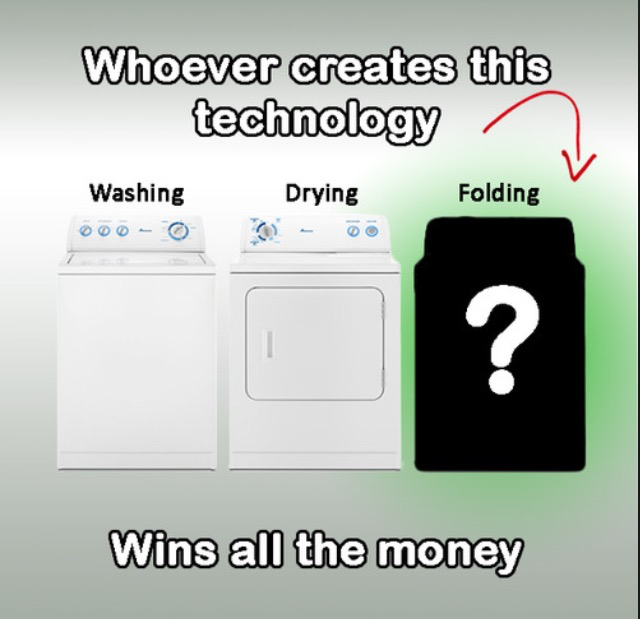 First, four people make a lot of laundry! I used to wait until Sunday and get it all done, but that became overwhelming, especially if we wanted to leave the house. 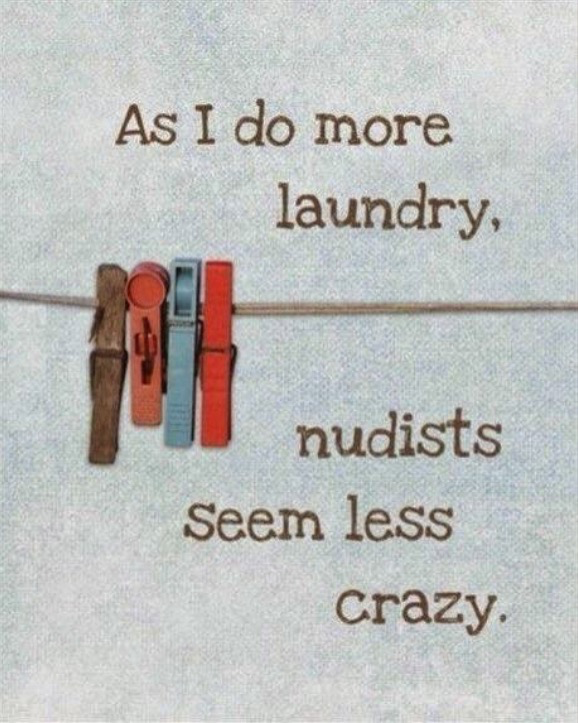 So now, try to do one load of laundry a day or every other day. It truly depends on what we have done; maybe we stayed in pjs all day, not as much laundry as if we changed, and some days I have to do a load of diapers. I quickly got annoyed with that and decided I needed to clean out my closet and dresser! It actually turned out to be a good thing. I purged a lot of items and was able to donate a bunch! Now, I had no excuse not to put my clothes away! 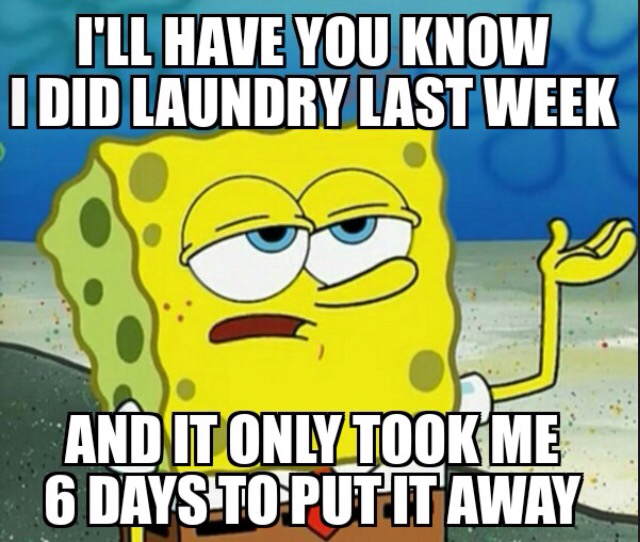 Well, I fell back into my laundry slump and just yesterday, reached my breaking point and had to put all laundry away! 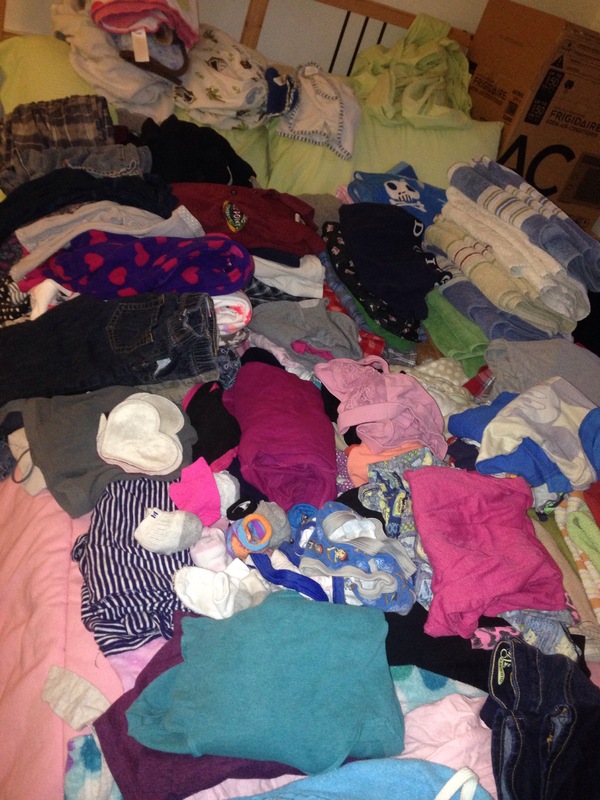 that’s an actual shot of 3 days worth of clothes on our guest room bed. You can see we make a lot! 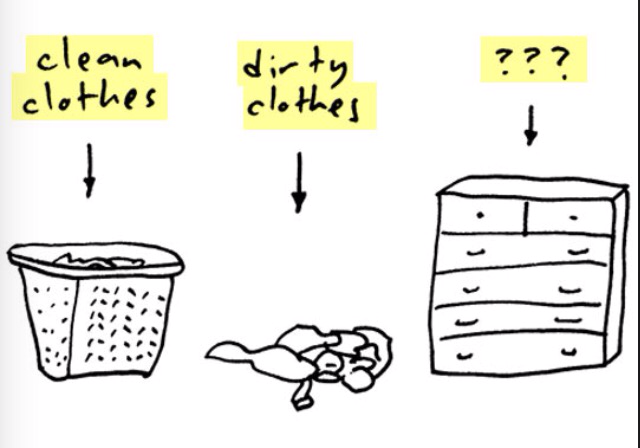 Sometimes I wish I was smart enough to invent a home laundry folding machine or biodegradable clothing. Happy Laundrying! I have to get back to diaper laundry! Ha Ha Ha! Snookie and JWoww Made me Laugh Out Loud for Real! Ha Ha Ha! I’m sitting here watching Snookie & JWoww’s final season and I’m laughing out Loud! They are both pregnant this season and the stuff they are talking about…it’s hysterical! Sometimes they say exactly what I was thinking… Haha! JWoww said something about a hemorrhoids…I almost peed my pants…. hahaha! Gonna go finish my laundry cycle, watch the rest and hit the hay! We had a really fun day today!! Will write about tomorrow!